Bree Mills and Pure Taboo pay a visit to a morally flexible plastic surgeon with predatory skills in its new forbidden-themed scene The Consultation, out June 7 exclusively at PureTaboo.com. Adria Rae plays an insecure teen that pays a visit to the doctor (Tommy Pistol) who calls to schedule a very special consultation in his private home office – just the two of them. 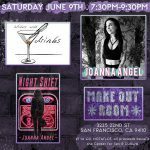 Directed by Craven Moorehead with a script written by Bree Mills, The Consultation blurs the line of doctor/patient privilege and serves as an important lesson to young girls in the presence of predatory men. “Women with low self-esteem can often find themselves in desperate situations with unscrupulous people,” said Mills of the provocative storyline. 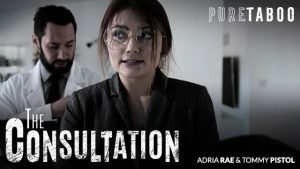 The trailer and full scene are available at PureTaboo.com/The-Consultation. Go to PureTaboo.com’s official cast page to find out more about its stars Adria Rae and Tommy Pistol.